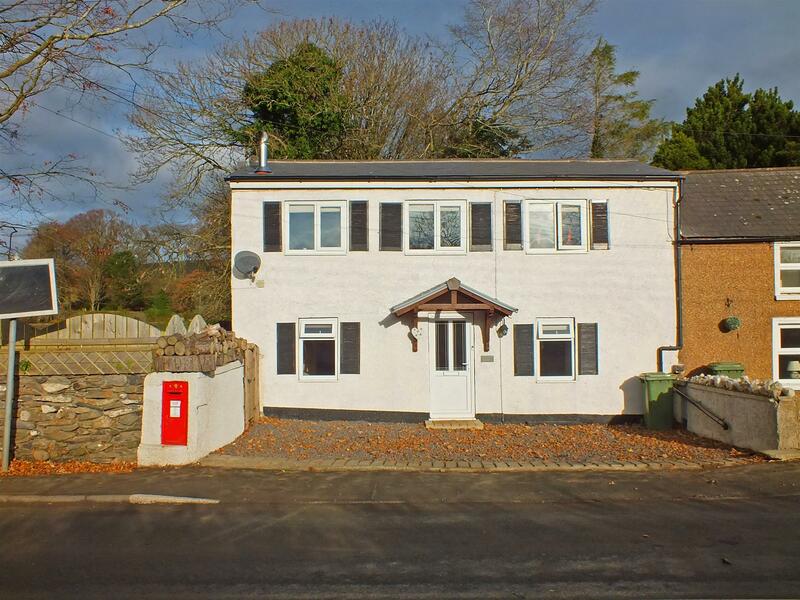 End of 3 Terraced Cottages Enjoying Semi Rural & Distant Hill Views. Centrally Located on the Main Bus Route with Easy Island Wide Access. Within the Catchment Area for the Ever Popular St Johns & Marown Schools. Spacious Accommodation, Offered in Excellent Order Throughout. Ground Floor - 2 Bedrooms,1 En Suite Bathroom & Family Shower Room. 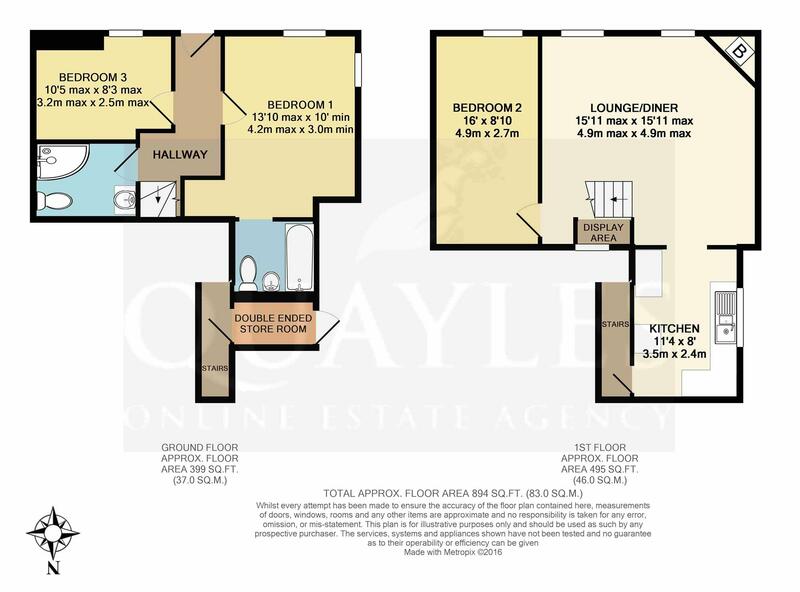 1st Floor Generous Open Plan Lounge Diner with a Double Bedroom Off. Modern Fitted Kitchen with Rural Views & Steps Down to a Small Decked Area. Private, Enclosed, Lawned Garden to the Side. 2 Generous Off Road Parking Spaces to the Front & 1 Opposite. Travel along the TT Course through Union Mills, Glen Vine and Crosby. Continue to Greeba, passing 'Greeba Castle' on the right hand side. The Old Smithy is the last of three cottages, directly opposite the entrance to Ballachurry Road, being clearly identified by our For Sale board. If travelling form St Johns, the property is the first of three on the opposite side of the road after The Hawthorn restaurant and pub. Canopied porch. Half glazed uPVC entrance door to the hall with stairs leading off to the first floor. Cupboard with shelving and hanging rail. 'Traditional oak' coloured quality laminate floor covering with a 20 year warranty - installed 2016. Recessed downlights. Space for a small unit. Double power point. A generous double room with uPVC windows to the front and side. Fitted shelving. Open under stair recess. Recessed downlights on a dimmer control. Clear opening to the bathroom. Fully tiled walls and floor in neutral tones with mosaic accents. Fitted with a contemporary white suite comprising bath with mixer attachment, pedestal basin with a glass shelf above and a push button flush WC. Glass shelf, chrome towel rack and ladder style towel warmer. Extractor. Recessed downlights. A generous single room with a uPVC window to the front. Floating shelves. Recessed downlights on a dimmer control. Cupboard housing the electric meter. Fitted with a contemporary style white suite comprising push button flush WC, vanity unit with a top mounted basin, tiled splashback and glass shelf above. Large quadrant enclosure with tiling to two walls, fitted with a fully plumbed shower and fixed overhead rose. Large glossy tiles to the floor. Chrome heated ladder style towel warmer. Recessed downlights. Extractor. Stairs enter the open plan lounge / dining room with two uPVC windows to the rear and two to the front offering distant hill views. The main feature of the room is a 'Firefox' glass fronted multi fuel stove set on a tiled hearth. Quality oak effect laminate floor covering. Wall mounted 'Samsung' flat screen TV. Satellite point. Recessed downlights. Wide display shelf adjacent to the stairs. Door to bedroom two. Clear opening to the kitchen. A well planned space fitted with a range of cream coloured wall, base and drawer units together with laminate worksurfaces incorporating a black sink with a lever mixer tap. Space for a washing machine and condenser dryer, fridge freezer and an electric oven with mosaic splashback and a matt black extractor above. Background tiling. Multiple power points. Recessed downlights. Slate tile effect floor covering. A uPVC window looks out over the neighbouring paddock. A part glazed timber door opens to concrete steps which lead down to a small enclosed deck area where the oil fired boiler is located. A generous double room with a uPVC window to the front offering distant hill views. Recessed downlights on dimmer control. Access to the fully insulated, shallow loft. To the side is an enclosed lawn with a small patio to the far end with fitted bench seats incorporating storage beneath. A wooden door accesses a storage area with a door through to a second decked area. The boiler is located here. Concealed oil storage tank. A wide driveway provides comfortable parking for two cars. There is a further parking space located to the left of the lane opposite. Greeba is located on the outskirts of St Johns and benefits from a 'residents green' which is owned and maintained by IOM Archery Club. It is possible to access the old railway line from here which is popular with cyclists and walkers. There is also a Community Hall a short distance along from the cottages - little used but again, available exclusively to residents of the area. Mains water and electricity. Private drainage - shared septic tank located within neighbours garden across the road. All costs split between the owners of the three cottages in the terrace. Basic annual costs approximately £50 per annum excluding repairs. Oil fired central heating. Fitted curtains, blinds, light fittings and floor coverings.